Although produce in general appears to be less contaminated with glyphosate than most other types of food, potentially problematic amounts of the chemical nonetheless may be present in fruits, vegetables and (perhaps especially) mushrooms. Both fresh and processed produce also may be affected by many other kinds of toxicity that would be good to avoid, of course. Fortunately, only a few genetically modified produce items have thus far been approved and made their way into the marketplace. In addition, most of the GMO produce that has been approved is not “Roundup Ready” and instead has different purported benefits than being resistant to glyphosate. Specifically, a small percentage of the apples, potatoes, papayas and summer squash sold in the U.S. are genetically modified (with the goal of the genetic modification being to make the items more resistant to disease or spoilage). A small percentage of sweet corn sold in the U.S. is Roundup Ready and therefore may be treated directly with glyphosate. To my understanding, GMO produce is usually grown (at least so far) only by huge companies that plan to sell the food for industrial use (including restaurant use). Although it is conceivable that some of this GMO produce might end up in conventional grocery stores, purchasing produce that is either marked as organic or grown by small local farmers seems likely sufficient to successfully avoid the GMO stuff. In addition, to the best of my knowledge, pre-harvest dessication with glyphosate is not used on any vegetables or fruits except for potatoes. Many farmers do use glyphosate in order to kill weeds along the edges of their fields or even between the crop rows, however. Glyphosate in rainwater or the water supply also has the potential of contaminating produce crops to the point that residues can be detected through laboratory testing. Fruits seem especially likely to have small amounts of gyphosate contamination show up in testing. For instance, a 2019 study suggested that all five California wines tested (including two organic wines) were contaminated with glyphosate, at levels between 5 and 55 parts per billion (ppb). Moms Across America reported in 2017 that the top five brands of non-organic U.S. orange juice were contaminated with low levels of glyphosate (all less than 30 ppb). The Canadian government study also reported that a variety of different citrus items were contaminated with small amounts of glyphosate. In addition, the Canadian study suggested that five different non-organic fresh mushrooms grown in Canada were contaminated with glyphosate (in one case at more than 200 ppb), and that an organic mushroom from the U.S. also had a small amount of contamination. The Canadian study also found that a few other produce items – including asparagus and peppers – were contaminated with low levels of glyphosate. So few fruits and vegetables were tested in this report that it is hard to make any definite conclusions about the produce situation in general from it, however. Compared to the amounts of glyphosate often present in foods such as grains or legumes, the levels that I have seen for produce items have (with the exception of that one mushroom sample) all been under 100 ppb (the legal limit in Taiwan and certain other countries). As a comparison, some of the Quaker Oatmeal rejected by the Taiwanese was tested as containing glyphosate at a level of more than 1800 ppb (or 1.8 parts per million/ppm). Oatmeal with that level of contamination apparently is sold with impunity in the U.S. since the legal limit in this country for glyphosate contamination of oats is currently a whopping 30,000 ppb (up from 100 ppb in 1993). Compared to those potential numbers, the 50 ppb contamination that has been found in certain produce items looks on the surface pretty trivial. Still, I have come to feel that the effects of glyphosate on my own body are similar to the effects of certain kinds of particularly problematic mold toxins – that is, that even a very small amount of exposure can have disproportionately large effects. Doing everything possible to avoid even small amounts of contamination, such as may be present in produce, is something that I therefore am making an attempt to do. 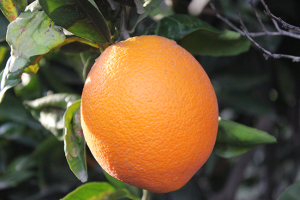 Non-organic citrus fruit is often contaminated with glyphosate. A 2015 Environmental Protection Agency memo states that glyphosate was used in substantial amounts in the U.S. on many different fruits (including apples, apricots, blueberries, caneberries, cantaloupes, cherries, dates, figs, grapefruits, grapes, kiwifruit, lemons, nectarines, oranges, peaches, pears, plums, pluots, pomegranates, strawberries, tangelos, tangerines and watermelons) and also many different vegetables (including artichokes, asparagus, avocados, broccoli, Brussels sprouts, cabbage, carrots, cauliflower, celery, cucumbers, garlic, green beans, green peas, lettuce, olives, onions, peppers, potatoes, spinach, squash, sweet corn and tomatoes). In addition, even organic fruits and vegetables that are grown in geographic areas where glyphosate is used for any purpose may be contaminated by it through the rainwater. With the exception of the wine and orange juice studies, the extent to which glyphosate actually makes its way into fruits and vegetables has yet to be discussed very much in public forums. Certain agricultural studies starting in the 1970’s have tried to argue that this contamination is minimal, but whether this actually is the case is as of yet unclear. Again, it would be my guess that of the foods available in non-organic American restaurants and supermarkets, vegetables and fruits tend on average to be much less glyphosate-contaminated than most other food choices. Certainly, with the possible exception of rice and popcorn, grains (including organic grains) are much more likely to be heavily contaminated with glyphosate than likely ever is going to be the case with produce. Ditto almost all legumes and most commonly used cooking oils. And while animal products may or may not be contaminated with detectable amounts of the chemical, glyphosate-contaminated food and other components of the factory farming experience result in unhealthy (not to mention very unhappy) animals that, in my opinion, are unfit to be consumed at all. Probably all of this explains why those who are concerned about glyphosate have not focused much attention on produce. 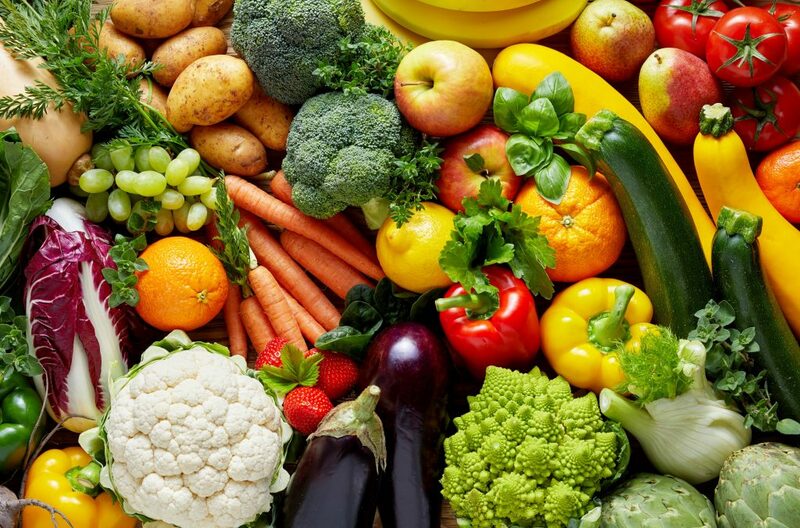 Fruits and vegetables are especially health-giving to begin with (due to their containing abundant amounts of vitamins, minerals, polyphenols and fiber) and also appear to be lower in glyphosate toxicity than many other choices. If discussion of this issue were to result in people eating less produce in general, then that would be counterproductive. Still, it’s my feeling that by making optimal choices, the amount of glyphosate exposure as well as other toxic chemical exposure in produce can be minimized to a productive extent. 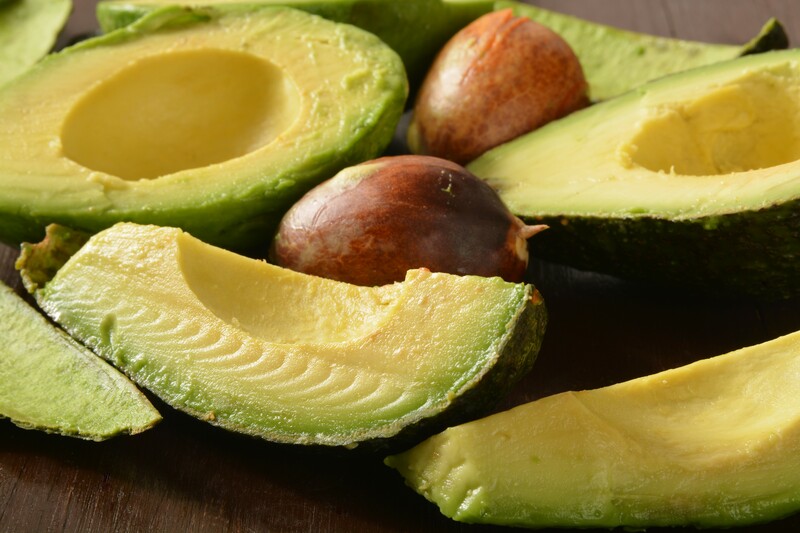 I always seem to do fine with non-organic avocados, which are the #1 food on the EWG Clean Fifteen list. In theory, choosing organic produce should reduce the amount of glyphosate contamination (though likely not eliminate it entirely due to the rainwater issue). However, it seems that there is so much cheating and/or sloppiness in the organic foods industry that I would not be too quick to assume that supermarket foods that are labeled as organic actually were grown according to organic standards. For fresh produce, finding local trustworthy farmers and asking in-depth questions about their growing practices may be the best approach. It’s my belief that certain packaged companies also are trustworthy and committed enough to serve as intermediaries to seek out produce that is especially clean. Regardless of whether produce is fresh or has been incorporated into packaged goods products, sourcing those it from countries where glyphosate is not used very much – such as France, Italy or Mexico – may decrease the likelihood that glyphosate contamination will be present. The Environmental Working Group offers an annually updated list of 47 produce items, ranked according to the extent to which conventional versions are likely to be contaminated with problematic chemicals. Choosing to be especially careful about eating only high-quality organic versions of the products that EWG has identified as “dirty” seems to be a good idea. One thing I do wonder about with regard to the EWG list is why mushrooms are rated as a relatively clean food, since the Canadian study suggests that these can be highly contaminated with glyphosate. Perhaps the reason is that mushrooms are relatively unlikely to be contaminated with other chemicals even though the glyphosate contamination (probably obtained through contamination of the growing compost) can be high. Personally, although there is nothing that I like better than really good fresh mushrooms obtained from local organic producers, I tend to only rarely eat supermarket mushrooms. I now think that my intuitive observation of the glyphosate contamination was why I got out of the habit of eating them more often. Unfortunately, glyphosate is known to permeate the entire plant in a manner that does not allow it to be washed off. Still, washing questionable produce thoroughly may be useful in removing glyphosate, other chemicals and toxic mold from the outer layer and thus be well worth doing. I tend to eat very large amounts of produce during the summer, then much less when winter comes. Personally, my approach with regard to produce is to basically gorge myself on it when it is available from local growers and then to eat much less of it the rest of the year. I also tend to eat much more produce from elsewhere when it is in season. For instance, I dramatically increase my consumption of asparagus during the spring; frequently make cranberry-apple juice in the fall; and enjoy pretty large amounts of citrus during the winter months. Although a very wide variety of organic produce is now available year-round in most populated areas of the U.S., I find that I often do not want to eat a lot of it during the winter months due to it feeling a little moldy and lacking in nutrients. During those times, I usually purchase larger quantities of the best-quality produce items that I can find and then supplement with grains and legumes (both of which I eat to a much more limited extent during the summer months). Although I occasionally will eat a little frozen, bottled or canned produce during the winter, this is not a very big staple of my diet even then since it just does not feel all that healthful or helpful to me. This kind of produce does have the potential of being useful for certain situations such as extended camping trips when no fresh produce at all may be available, however. In addition, there are some pristine areas of the U.S. that seem that they might be desirable places to live other than the fact that they are a long way from good organic grocery stores. If I were living in a house in one of those areas, probably I would buy a large freezer and then use it to store produce (especially produce that I grew myself or purchased fresh from good sources) to eat between trips to town. Farmhouse Culture’s sauerkrauts are one of the very few products sold in aseptic plastic packages that I currently consume. When possible, I prefer to buy processed produce in glass jars or bottles since those seem particularly clean to me. Cans are more problematic due to the soft plastic can liners (with “BPA-free” soft plastics apparently having basically the same negative health effects that the BPA ones do). The plastic linings apparently are more of a problem for acidic foods such as tomatoes, but really do not seem like a great idea regardless of the food involved. Aseptic packaging is made either of plastic or of cardboard with a plastic liner, with the soft plastic present again being problematic. More importantly – at least to me – is the fact that such supposedly aseptic packages of food periodically have been reported by consumers as having mold growing inside, even when the product is not used beyond the expiration date and appears to be properly sealed. The idea that food may be going moldy inside the container without my noticing until I have consumed part of it (or growing at a high enough level to cause health effects even though it is not visually obvious) seems so problematic to me that I rarely buy foods in this kind of packaging now. Though it contains citric acid, the pickled sushi ginger from The Ginger People is one of my favorite food products. An additional potential problem with processed produce is that citric acid and/or ascorbic acid may be added to raise the acidity of the product and reduce spoilage. This is, in my opinion, fine when these chemicals are derived naturally from citrus fruits or other whole foods. However, more often these chemicals are produced in a laboratory using toxic ingredients and toxic processes, and that is where the problems come in. Most citric acid used in foods is derived through a fermentation process using Aspergillus niger, a mildly toxic mold. The mold takes sugars (such as corn sugar or beet sugar) and transforms them into an acidic substance similar to that found in citrus fruits. To my understanding, the sugars used are usually from glyphosate-contaminated Roundup Ready corn or sugar beets – with the citric acid that results from the fermentation process then allowed to be used even in organic food products. 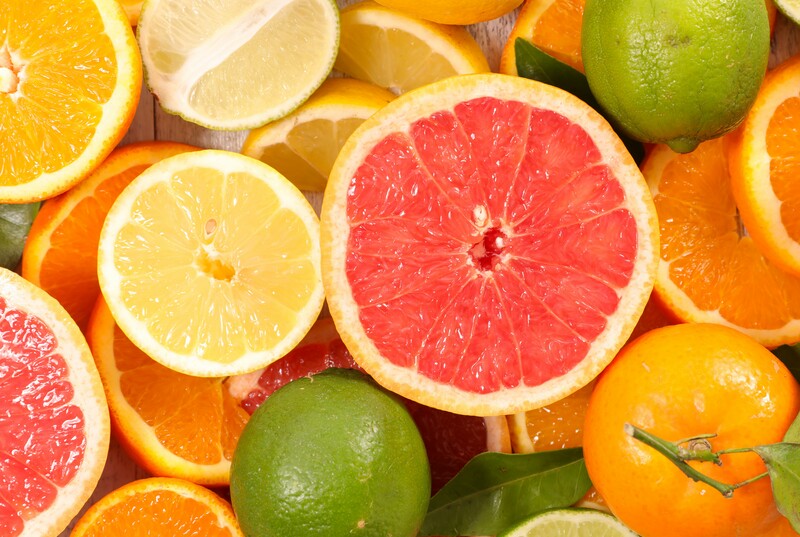 Ascorbic acid (a type of Vitamin C occasionally used to add acidity to processed food products) is similar, in that it may be derived from citrus fruits but is more often made through a chemical or fermentation process using GMO corn or beets as the substrate. In cases when the transformation is done through fermentation, genetically modified bacteria may be used. Eager to talk to Chinese vitamin manufacturers, I traveled in the fall of 2011 to Las Vegas’s Supply Side West, where dozens of them were scheduled to appear…..The major manufacturers of Vitamin C were there, and when I asked them how their products were made, I got the same answer every time. “Fermentation,” they chimed. “What’s being fermented?” I asked. It turns out that “fermentation” and “corn” explain the origins of Vitamin C the way that “the supermarket” answers the question “where do hot dogs come from?” As I came to realize, the Chinese abandoned chemical synthesis in favor of fermentation, a different but by no means simpler endeavor. Vitamin C production is a convoluted operation consisting of about 10 steps, within which there are substeps. It starts not with corn kernels or even cornstarch, but sorbitol, a sugar alcohol found naturally in fruits and made commercially by cleaving apart and rearranging corn molecules with enzymes and a hydrogenation process. Once you have sorbitol, fermentation starts, a process which tends to muck up surrounding air less than chemical synthesis (though it’s been known to cause problems with water pollution). The fermentation is done with bacteria which enable more molecular rearrangement, turning sorbitol into sorbose. Then another fermentation step, this one with genetically modified bacteria, turns sorbose into something called 2-ketogluconic acid. After that, 2-ketogluconic acid is treated with hydorchloric acid to form crude ascorbic acid. Once this is filtered, purified and milled into a fine white powder, it’s ready to be shipped off as finished ascorbic acid, mixed with other nutrients, and added to your corn flakes. “Fermented corn” is certainly an easier answer. Some people have reported having substantial negative reactions to citric acid in food. I’ve heard quite a few people report negative reactions to ascorbic acid vitamin products as well. In addition, some people (including me) just simply do not like the idea of any product that may be made using glyphosate-contaminated ingredients, toxic mold and/or genetically modified bacteria being purposely added to their food, even if they are not certain that they are reacting to it. Personally, while I am not sure that I have ever had a noticeable food reaction that was due to the presence of citric acid, I do wonder if that additive may be causing me to be intuitively disinclined to eat certain foods. Some products with citric acid in them feel great to me, though. Whether this is because these foods include less toxic versions of citric acid (such as ones derived from citrus fruits or that use non-GMO sugars as substrate) or because I actually do not react to citric acid, I am not sure. While some companies selling processed produce do not use citric acid or ascorbic acid at all, others include it in some of their items but not in others. Produce with a high natural acidity level, such as tomatoes or citrus fruits, is much less likely to have citric acid used in the processing, for instance. Some manufacturers add citric acid or ascorbic acid even to highly acidic foods, however. Sometimes, companies may not include citric acid or ascorbic acid in certain products in their line at one point in time but then may add it later on. I therefore suggest that those who are trying to avoid these chemicals read ingredient lists each time they are considering making a purchase, so that they have a better idea of what they are buying. Non-organic products that I have enjoyed – like these pickles – are marked with a (1) in my recommendations lists. While most of the food that I eat is organic (certified or non-certified), there are certain other products that I have done well with that are not stated as meeting that standard. In addition, while I do not eat a lot of wheat or other gluten-containing products, I currently do consume some gluten and seem to do fine with it. Also, while I tend to find the presence of citric acid or ascorbic acid on ingredients lists to raise questions about the product in my mind, there are quite a few products that contain one or both of those chemicals that nonetheless I really like. I’m aware that quite a few people who are recovering from mold illness are being very careful to avoid all non-organic foods, gluten, and/or citric and ascorbic acid, however. Therefore, in my product recommendations, I have used the following system to note the known presence of those ingredients. 1 – Product is not stated to be organic (certified or non-certified). 2 – Product may contain gluten. 3 – Product may contain citric acid and/or ascorbic acid. Please note that I cannot guarantee that products that are not marked with these notations will not include non-organic ingredients, gluten, citric acid or ascorbic acid, since I may have missed something or since the manufacturer may have made changes subsequent to the publication of this article. Therefore, those who are attempting to avoid non-organic products or particular ingredients should double-check the status on the package or the online product description before purchasing, rather than relying solely on my reports in this article series. A biodynamic naval orange from Marian Farms. I eat far more fresh vegetables and fruits than I do anything else, to the point of (especially during the summer months) often going through what seems ridiculous amounts of produce. Although some people in the early stages of recovery from mold-related illness do not do well with a produce-heavy diet, for most people (including chronic illness sufferers who are further along in the recovery process) it seems to be a very good thing. Although I am aware that fresh organic vegetables and fruits may have been grown using naturally derived pesticides, they tend to feel pretty clean to me across the board – even when produced by large growers and sold through regular grocery stores. However, I do feel like a lot of organic supermarket produce can be lacking in terms of nutrient density, compared to some other produce that I have encountered from certain smaller growers. Even if a farm is growing food truly organically, soil depletion may cause it to have far lower levels of minerals, polyphenols and other good nutrients than food that is grown under more optimal conditions. Farms that use better growing practices (perhaps especially the use of animals that nourish the soil with fresh healthful manure) may produce foods that are more nutrient-dense. Food from such farms also may have a richer microbiome of good bacteria that is health-giving in itself. While I would guess that the microbiome issues are especially important when eating foods raw, they may make a difference even when eating cooked food since the remains of good bacteria may provide health benefits even after they are dead. One of the first people to bring this kind of soil-oriented farming to widespread attention was Joel Salatin, who runs an operation in Virginia called Polyface Farms and who was featured in Michael Pollan’s book The Omnivore’s Dilemma. The sleeper hit at the 2018 Telluride Film Festival was “The Biggest Little Farm” (scheduled for a May 2019 release), which details the efforts of a city slicker couple to transform a basically barren piece of land north of Los Angeles into this kind of richly diverse farm. “Biodynamic” farming also uses animals and varied crops (as well as some additional “woo-woo” techniques that are more controversial) in order to increase soil fertility. Although finding nutrient-rich produce grown in healthful ways is not always especially easy, I always am on the lookout for locally grown produce that seems especially delicious to me and also ask farmers a lot of questions about their growing practices. I also recently found an experienced small produce retailer who seeks out biodynamic and other high-quality produce from nationwide sources to sell in his local store. Some of the biodynamic citrus from Marian Farms and other producers that I have purchased from him has been really phenomenal, for instance. In some cases when I have been planning to stay in an area all summer, I have committed to a Community Supported Agriculture (CSA) box program. In most cases, though, I feel like I have done just as well purchasing from farmers’ markets or farm stands. Usually at farmers’ markets, I am looking for produce that is clearly labeled as organic or pesticide-free. Although sometimes I will ask other farmers about their growing practices, I often feel unsure about whether they are telling the truth and so hesitate to buy. Occasionally, though, I have found farms that are not entirely organic but that nonetheless are producing fruits and vegetables that feel good to me across the board. For instance, one such local grower near where I am living now (the Dubuque, Iowa, area) is Fincel’s. I started out buying their locally famous sweet corn but eventually found that I did well with their other produce as well. While none of the farmstand employees were able to answer my questions about glyphosate usage, eventually the company shared a Facebook post stating emphatically that it used no glyphosate at all. The information provided on their website about their other farming practices has been reassuring too. In addition, there are a few non-organic produce items that I frequently buy in commercial natural-type grocery stores, especially when organic versions are not available or are prohibitively expensive. Asparagus, sweet corn and pineapples from these stores (or from farmers’ markets) generally seem fine to me even if they are not marked as organic, for instance. Sometimes I buy watercress or other bitter greens that are not labeled as organic, and those have mostly seemed okay to me too. I do always peel peaches before eating though. As a general rule, when I am shopping in produce departments of regular grocery stores, I am looking mostly for produce that seems to be very fresh and that feels and smells good to me. Generally I am not looking for brand names and actually feel like I usually do less well with produce from big companies where the brand name is highly visible. For instance, while sometimes I buy salad greens in plastic boxes from big companies such as Earthbound Farms, I prefer non-boxed greens if I can get them. Similarly, while I have purchased a whole lot of Bunny-Luv carrots for juice-making purposes since they are widely available and not very expensive, other carrots often seem to me fresher and more flavorful. Finally, while I personally I do not have much of a green thumb and currently do not have any land to use for gardening, those who do have the ability to grow their own food may find it to be well worth the effort. Even growing a few items such as herbs, salad greens and tomatoes on a terrace during the summer months may have the potential of contributing to the diet in a meaningful way. Seeking out high-quality manure – such as that sold by Claravale – as fertilizer may be a good idea. 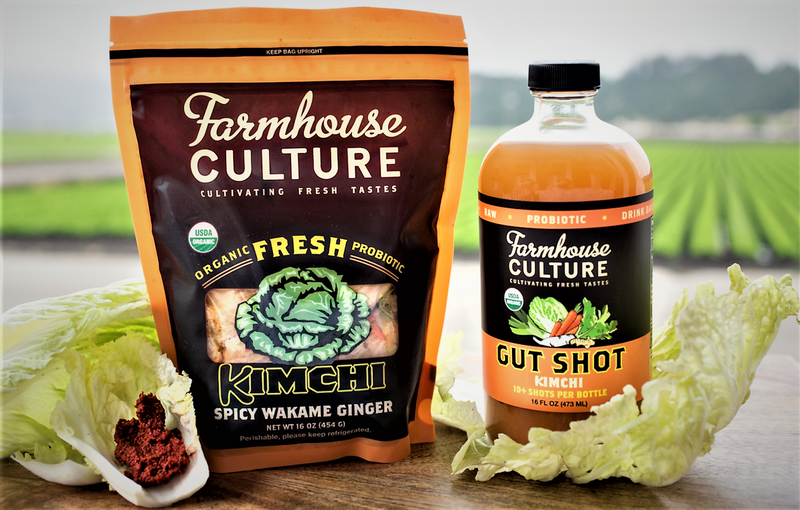 Although not everyone can tolerate all fermented foods (or any fermented foods), I have found certain brands of cultured produce to be extremely healthful for me. It is my feeling that, for good or for bad, probiotic foods are likely to be affected by the local microbiome. I therefore am more likely to purchase products when I know that they are produced in locations that feel good to me. 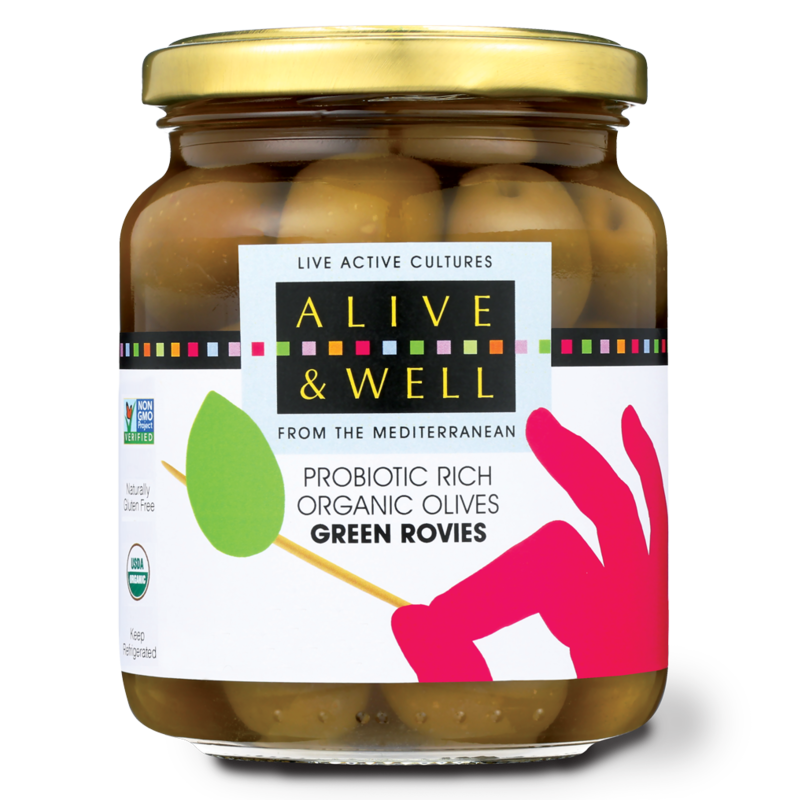 Among my very favorite packaged-goods products are Alive & Well Olives. These organic olives are from trees in Greece (some of them more than 1,000 years old) and are full of delicious probiotic cultures. Back in 2011, I spent an hour or so visiting with the owner of Farmhouse Culture (an all-organic company) and went on a tour of their processing plant in Santa Cruz. I felt good in the building and in general was very impressed by the company. Farmhouse Culture has since has moved to a renovated building on a farm in Watsonville. In addition, they have since replaced the glass jars that they used to use (but that kept exploding or cracking when kept at warmer-than-optimal temperatures due to the product having a relatively low salt content) with plastic bags with a gas-release valve. I am not crazy about this idea because I am thinking that the acid from the sauerkraut likely causes the plastic package to break down and leach chemicals into the food. While Farmhouse Culture has stated that it is using BPA-free packaging, my guess is that the soft plastic in the bags contains other chemicals that eventually will be found to be problematic as well. Although I transfer the product to glass jars upon purchase, I suspect that may be too late to do much good. Still, I have purchased Farmhouse Culture’s krauts a great many times during the past seven years or so and undoubtedly will continue to do so. I also really like the company’s Gut Shots (sauerkraut juice), which are available in several flavors and are sold in glass bottles. I also have had some good experiences with the organic sauerkraut and kimchi products from Wildbrine, which is located in Santa Rosa, California. I especially appreciate the wide variety of flavors offered by this company. The product is sold in a hard plastic container, which seems to me potentially less problematic from a toxicity standpoint than a soft plastic bag. 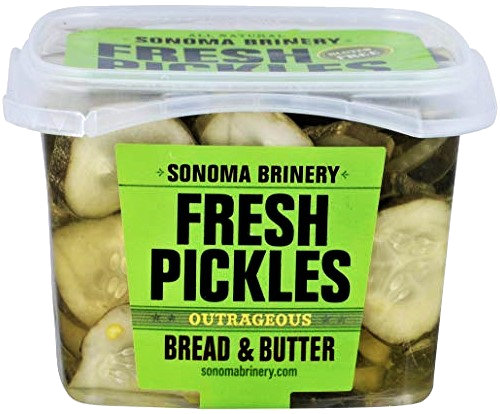 Also sold in hard plastic boxes are the sauerkrauts and pickles from Sonoma Brinery. I’ve only had a chance to try this company’s products a few times, but so far I have been very impressed. Sonoma Brinery’s sauerkraut seemed to me crispier and fresher (apparently more lightly fermented?) than most of the other refrigerated brands that I have tried. The bread and butter pickles were also very crispy as well as especially delicious – to the point where I probably could eat at least a half a container of them in one sitting. As it turns out, though, while the company’s dill pickles and sauerkrauts contain probiotic cultures, the bread-and-butter pickles – which are slightly sweet – do not. Sonoma Brinery’s products are stated as being non-GMO but not organic. The company is located in Healdsburg, California. 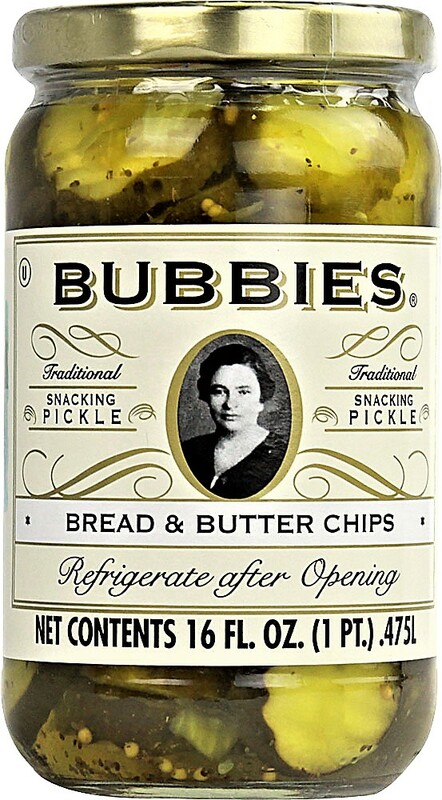 Although the Bubbies products (except for the bread-and-butter pickles) contain live cultures, the product receives a low-heat bottle wash of a maximum of 135 degrees in order to partially pasteurize the product and therefore prevent the bottles from exploding. The official Bubbies address is in California, but production is mostly in Canada (with a few items produced in Detroit). I recently got a good report from a Mold Avoiders member about Pickled Planet but have not had a chance to try it yet. The company is based in Ashland, Oregon, and sells a wide variety of pickled vegetables. Some items are currently available through Amazon. Those who would like to try fermenting their own vegetables may want to seek out information provided by Sandor Katz of Wild Fermentation. I had the pleasure of meeting him several years ago at a dinner in California, and think that his books are nicely done. While periodically I have tried fermenting vegetables myself, I always have concluded that I am happier with the brands mentioned here than with the results of my own experiments. Especially if people are living in really pristine locations, though, it may be worth giving home fermentation a try. I eat most produce fresh in season, but occasionally I will buy some frozen peas or some out-of-season frozen fruits (such as cherries, berries, peaches or cranberries). Probably sticking with organic items in this category is the best bet, I think. In addition, I have heard that some companies source their supposedly organic frozen produce from China, and so investigating the origins of frozen food items purchased may be worthwhile. Usually I choose the Woodstock brand for frozen foods, since my experiences with their products have been more consistently positive than what I have experienced with certain other companies. Woodstock’s shitake and mixed frozen mushrooms actually have felt good enough to me that I might consider purchasing those in preference to fresh “organic” supermarket mushrooms (which have the potential of being contaminated with glyphosate). I’ve had more limited experiences with the Sno Pac brand but have felt that the items that I have tried from them (including their cranberries and peas) have been at least as good as the Woodstock brand and maybe better. Note that I eat frozen produce only occasionally and therefore cannot vouch for all of items sold by either of these companies, though. Jeff’s Garden Naturals, Mediterranean Organic, Gaea and Divina sell bottled olives (with at least some versions being certified organic) that I have purchased on occasion and have felt good about. I’ve also purchased olives not marked as organic from Santa Barbara Olive Company on a numerous occasions and thought that they felt quite good to me. Note that for all these olive companies, some of the products they produce contain citric acid while others do not. I suggest reading ingredient lists carefully if concerned about the presence of this chemical. Mt. Olive Organic Farm in Paso Robles, CA, produces some good bottled olives and olive tapenade, which it sells at farmers’ markets in central California as well as in its own store. While shipping costs are too expensive for getting their products sent elsewhere to seem to me a very good option, I did really enjoy spending some time at their farm and their store once when I was in the area. Although I usually buy olives in glass jars, the Mediterranean Organic snack packs seem like a good alternative for lunch boxes or long car trips. Although I often have felt good about olives purchased from olive bars in natural supermarkets, I rarely have been able to obtain any detailed information about these olives. I therefore am not sure what to think about them beyond their usually feeling okay to me. 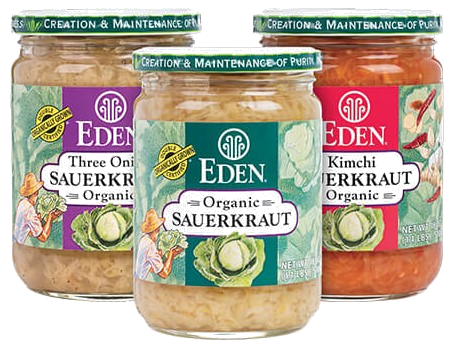 Although I usually eat fresh sauerkraut with live cultures, Eden makes very good bottled cooked sauerkraut that is enjoyable warmed up in larger quantities, to serve with sausages or pork. Eden’s new kimchi-style sauerkraut, which I have not yet tried, also seems to have some potential for occasions (such as camping trips) when fresh kimchi may not be readily available. Woodstock also sells good shelf-stable bottled sauerkraut. Although I would prefer that my pickles be organic (certified or non-certified), there are a few brands of non-organic shelf-stable pickles that I have found to be quite good. Generally speaking, with pickles I look for simple ingredients without any additives. In addition to additives being undesirable in themselves, they also suggest to me that the company does not care very much about the purity of its foods and thus also may be using substandard or toxic ingredients rather than good-quality ones. 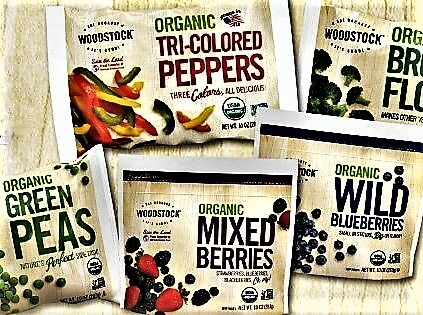 Woodstock sells several organic pickles that I have purchased from time to time. I especially have enjoyed their Limited Edition Pickled Baby Carrots, which I hope will become more widely available in the future. When I was living in California, I got to know the owners of Happy Girl Kitchen and was really impressed with them. Although their pickled vegetables (which include products such as carrots, beets, zucchini and peppers in addition to cucumbers) also are on the expensive side, they all are really outstanding and would make an especially nice hostess gift. Rick’s Picks produces a somewhat pricey but quite high-quality line of Non-GMO Project Verified pickled cucumbers and other pickled vegetables. 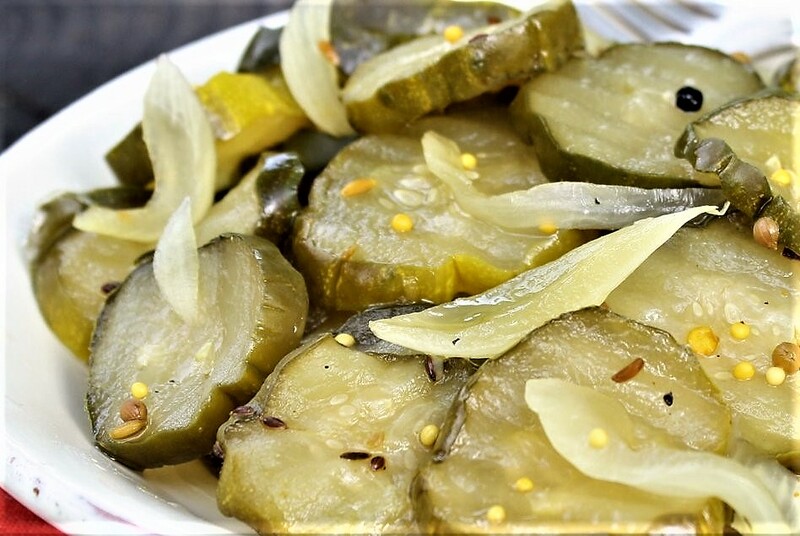 I tried the People’s Pickles (New York deli style) once and thought they were quite good. The Phat Beets (the company’s most popular product) are especially interesting to me. YeeHaw Pickle was started by a couple with food sensitivities and is located in Ridgway, Colorado (a currently pretty pristine area in southwestern Colorado). Their pickles are all-natural but not organic. I enjoyed some of their Honey Sweet Stackers (made with raw honey) and would be interested trying more from this company. I’ve found most locally produced pickles and relishes from small organic or pesticide-free farms to be quite good when I have tried them, though I always am careful to make sure that they have used cane sugar or organic sugar rather than beet sugar. 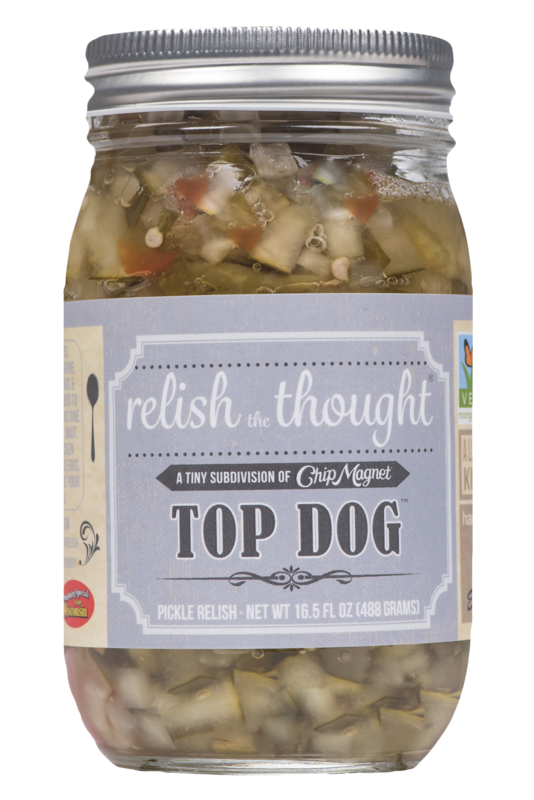 Relish The Thought is manufactured by a small Wisconsin company called Chip Magnet, which also makes excellent salsa and barbecue sauce. Although all of the company’s products are labeled non-GMO rather than organic, I have found everything that I have tried from them to feel really clean and high-quality. Products are available in stores in the Wisconsin area and also may be purchased online directly from the company. Woodstock and Stonewall Kitchen also sell acceptable cucumber pickle relish, although I do not think that those products are anywhere near as good as the Relish The Thought one. Stonewall Kitchen also offers an organic Spicy Corn & Tomato Relish that I would really like to try. 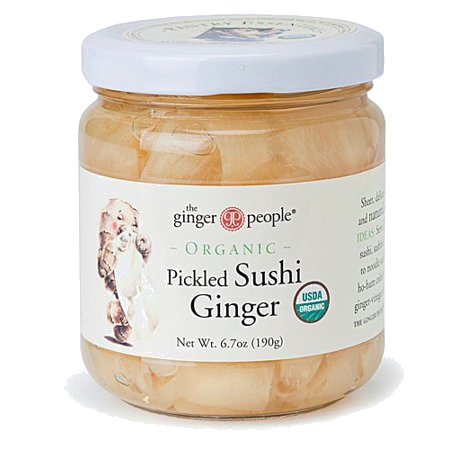 One of my favorite packaged-goods products is The Ginger People Pickled Sushi Ginger. It is much, much better than pickled ginger that I have had in any Japanese restaurant – yellow rather than pink (no food coloring) and and with a deliciously sweet/tangy flavor. Although it has been many years since I have served sushi at home, I’ve found that this pickled ginger makes a particularly nice accompaniment for Asian stir fries, grilled cheese sandwiches, pot roasts and other rich cooked foods. Our organic ginger juice uses citric acid made using non-GMO molasses from beet and sugar cane, through fermentation process to convert the sugars into citric acid.Our Pantry Essentials pickled products (minced ginger, sushi ginger, and grated ginger) are made with citric acid that is derived from non-GMO corn. A selected strain of Aspergillus niger is used for the fermentation process to create the citric acid for all, regardless of source. I usually have a jar of capers open in the refrigerator, to use in tuna salad or sometimes on sauteed fish, and have been quite happy with the wild capers from Mediterranean Organic. Mediterranean Organic also sells whole, roasted red sweet peppers in glass jars. Although they have a bit of a canned taste that has made me disinclined to use them regularly at home, they could be a nice little treat to have on hand during a camping trip. Although most processed tomatoes are sold in cans, I don’t think this is a great idea since the acidity of the tomatoes tends to break down the can liner and to cause BPA (or similar substances present in non-BPA cans) to leach into the food. In addition, unlike (say) beans, tomatoes are not generally rinsed after being removed from the can and therefore retain all toxicity that is acquired from the packaging. As a result, it seems to me that buying tomatoes in glass is the best idea from a toxicity standpoint, and it has been many years since I have purchased any tomatoes in a can. Another risk with canned or bottled tomatoes is that the manufacturer will have included tomatoes that are past their prime and that have been contaminated with mold growth. Choosing higher-end products from companies that care about food quality seems to reduce the likelihood that this will occur. Of the brands listed here, Happy Girl Kitchen is the highest end, using expensive heirloom tomatoes bottled at their peak of freshness. Although their products are on the pricey side (especially when shipping costs are factored in), they are very yummy and also very pretty, potentially adding a little treat even to everyday meals. If I still lived near their restaurant/store (located in Pacific Grove, California), I would likely buy a few bottles of tomatoes from them pretty often. The organic bottled tomato products from Bionaturae, Jovial and Eden have been consistently good for me when it comes to more everyday cooking. 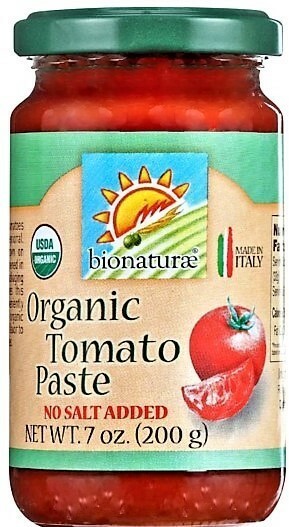 Although I have yet to try the Yellow Barn Biodynamic tomato passatas (aka purees) or tomato concentrate, my experiences with the company’s pasta sauce make me confident that all of the company’s tomato products would be worth purchasing if I could just get my hands on them. Occasionally I like to use sun-dried tomatoes and have found the bottled ones offered by Mediterranean Organic to be pretty good. Amore is an Italian company that sells several different tomato pastes in tubes, making it easy to use just a small amount as needed. Although their products are not marked organic, glyphosate is in limited usage in Italy and I have found all of the Amore products to be quite good. Growing nightshade vegetables without pesticides is not that challenging, opening the door for many companies to produce certified organic pasta sauce sold at a low cost. What is more difficult and expensive is for the companies to make sure that the produce is still fresh and non-moldy before it makes its way to the jar. Since it may be tempting for manufacturers to cut corners and use vegetables that are past their prime, seeking out companies producing quality products seems to me important in this category. I have tried quite a few supposedly organic pasta sauces that have not felt good to me, and now am willing to buy just a few particular brands. 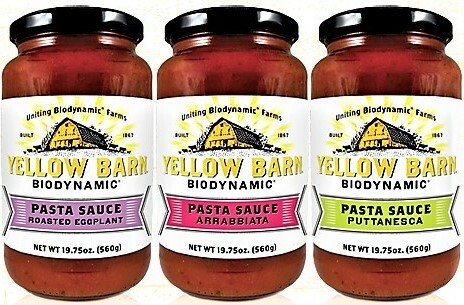 One pasta sauce that I have purchased several times is made by a company called Yellow Barn Biodynamic. Just one flavor (the Puttanesca) currently is sold on Vitacost and I have never seen the brand sold in any bricks-and-mortar stores, but I’ve been impressed with the obvious quality and the flavor of the ingredients used in the sauce. Yellow Barn sauces contain just a few ingredients, all of them grown on certified biodynamic farms and processed with a minimum amount of handling from field to jar. The line seems to rely more on the full, clean flavors of the ingredients themselves rather than on onions, garlic, peppers or other spicy flavors, and so those who want to kick it up a notch may need to be prepared to add some extras to the sauce. Another line of pasta sauces that I have been enjoying recently are from Galassi, which is located a couple of hours from me near Iowa City. Although I’m usually not all that much of a fan of tomato sauce (especially bottled tomato sauce), this company’s products have been tasty enough that I almost want to eat them straight out of the jar with a spoon. Although the Galassi products are not certified organic, they are made using organic tomatoes; have simple real-food ingredients lists; are Non-GMO Project Verified; and are a woman-owned business. The sauces are sold at Walmart, Whole Foods, Costco and many other retailers throughout the Midwest. Another line of organic tomato-based sauces that I have especially enjoyed are made by Dave’s Gourmet. Compared to most bottled sauce, they taste clean to me and seem to have unusually bright flavors. Eden makes two spaghetti sauce versions (regular and salt-free) that are less expensive than Dave’s or Yellow Barn but that seem to be pretty high-quality. I also appreciate the fact that Eden sells its Pizza/Pasta Sauce (which is a good base to use when adding extra ingredients) in smaller glass jars for a quite low price. Recently I tried some pasta sauce made in Italy by Rao’s Homemade. Despite its not being marked as organic or supplying any other information about its ingredient sourcing, I thought that it felt quite clean to me and also was pretty tasty. I would buy this product again and also am now interested in trying more pasta sauces from Italy. There are a few more organic pasta sauces on the market that I also would like to try, including Victoria, Uncle Steve’s and Walnut Acres. A major problem with commercial apple sauce is that it is usually manufactured with apples that have started to go bad and that have brown spots on them. These brown spots generally contain patulin, a fairly dangerous mold toxin that tends to be overlooked by many people focused on mold illness issues due to the fact that it is generally just ingested rather than inhaled. In addition, although apples are no longer treated with Alar, they remain on the EWG “Dirty Dozen” list. Even if apple sauce is supposedly organic, unless the manufacturer seems really trustworthy I fear that non-organic apples may make their way into it. The fact that I have periodically heard about apple sauce in aseptic packages having mold growth problems increases my concerns about packaged apple sauce. Therefore, although apple sauce is a food that I enjoy, I most often tend to make it myself on top of the stove or in the Instant Pot rather than purchasing it from the store. Sometimes – especially when I am going camping or on a long car trip – I do purchase apple sauce in jars, however. The apple sauce and apple butter are made from apples that have some insect damage, are too small or have other mishaps, rendering them low grade (i.e. unmarketable as fresh apple). These apples never touched the ground, so bruising is not an issue. Patulin in mostly found in rotting apples. Those apples go to the compost pile on our farm. While Two Onion Farm does not seem to be willing at present to sell their products by mail order, it may be possible to find other small local farms that are producing apple sauce or apple butter in a similarly conscientious way. 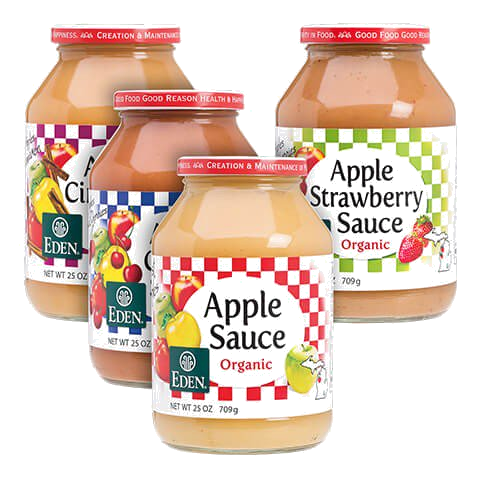 In terms of larger producers of apple sauce and apple butter, Eden has seemed to me to be the best. I especially like their apple-cherry and apple-strawberry sauces as well as their apple butter. Although Santa Cruz apple sauce does not seem quite as clean to me as the Juli’s or Eden products, I do really like apple-apricot sauce and have found their version to be satisfactory for occasional use. Although the small plastic cups offered by Santa Cruz might be an acceptable alternative to the glass jars, I would be inclined to avoid the company’s pouches due to my concerns about mold. Pacific Food’s cranberry sauce is good enough that I would use it in a pinch if I couldn’t get fresh cranberries (and actually might buy it from time to time other than for Thanksgiving emergencies if it just came in a glass jar rather than a supposedly aseptic carton). Unlike most cranberry sauce, it is not too sweet and consists primarily of whole berries. Another organic cranberry sauce option (sold in glass) that seems like it may have potential but that I have yet to try is from Appalachian Naturals. Those who must have their holiday cranberries in a jelly that is molded into the shape of a can may want to seek out the organic Simple Truth version from Vitacost, which I also have not yet tried. Although I am not absolutely opposed to food sold in cans, I purchase canned produce pretty infrequently (mostly just for extended camping trips). One canned vegetable that I do use occasionally at home is pumpkin. While sometimes I do make my own puree, fresh pumpkins are not easily available year-round and (despite my reservations about the soft plastic can liners) the canned pumpkin seems almost as good. I use the canned product for pumpkin pie or pumpkin custard (made with just a little maple syrup and no other sugar); pumpkin soup; or as an addition to Bulletproof “Get Some” ice cream (which I make substituting a little maple syrup for the suggested xylitol/erythritol). Although I don’t often make pancakes, when I do, I usually will add some pumpkin to them. I also really like this Food Babe recipe for Quinoa-Pumpkin Porridge. Farmer’s Market pumpkin is sold on the Healthy Traditions website, which means that it has been tested at least once and found to be uncontaminated with regard to glyphosate. Libby’s also offers organic canned pumpkin that I have found to be fine. Pacific Foods sells organic pumpkin puree in aseptic cartons. I found that product to be a little runny and prefer to avoid that kind of packaging, but I still would be willing to use it in a pinch. 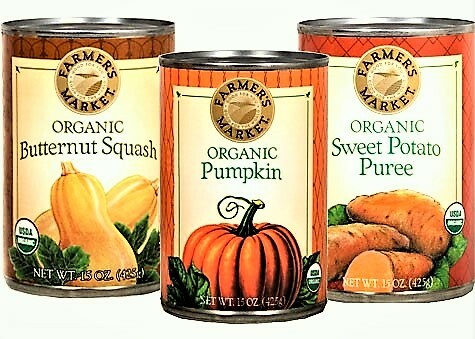 Recently I tried two other canned vegetable purees from Farmer’s Market – butternut squash and sweet potatoes – and found them both to be considerably better than I would have expected. Those products would make a very nice basis for delicious and easy soups, but they also seem to be of good enough quality that they could be served plain with just a little butter added. The butternut squash version also could be converted into a decent pasta sauce with just a few additions (e.g. tomato paste or ketchup, olive oil, milk or cream, grated Parmesan, good salt, black pepper, and some herbs or spices). Definitely those two vegetables could come in handy on camping trips, I think. Vitacost sells a variety of organic canned vegetables under the Simple Truth brand that could be especially useful for camping or other situations when fresh vegetables are not easily available. I’ve tried a few of these and thought the quality was surprisingly good. I’ve especially liked the canned corn, which I have added to homemade vegetable soup on a couple of occasions when fresh corn was not in season. Occasionally I buy artichoke hearts, water chestnuts, bamboo shoots or hearts of palm in cans or glass bottles. Native Forest (which is part of the organic food company Edward & Sons) has been a decent brand. Native Forest also offers several types of canned mushrooms, which I have not yet tried. In addition, Native Forest sells a line of fairly tasty organic canned fruits – including pineapples, mangoes, peaches and Mandarin oranges – that could be useful for camping or travel. Lisa Petrison is the executive director of Paradigm Change, a website and blog focusing on the role of environmental microbial toxins (including mold toxins) in chronic illnesses. Living Clean in a Dirty World is an associated blog site focused on the topic of recovering from chronic mold-related illness using a variety of approaches. These websites have received more than a million page views by more than 400,000 visitors since their inception in 2013. Lisa also is the author or editor of several books on the topic of recovering from mold-related illness. These include A Beginner’s Guide to Mold Avoidance (co-authored with Erik Johnson), Back From the Edge and Erik on Avoidance. She runs the Mold Avoiders recovery help group on Facebook (with more than 12,000 members) as well as the associated Mold Avoiders website. 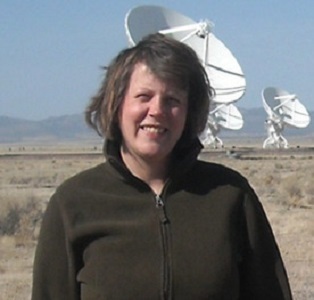 Lisa previously worked as a reporter, a marketing consultant and a business school professor. She holds a Ph.D. in marketing and psychology from the Kellogg School of Management at Northwestern University, as well as B.S. and M.S. degrees from the Medill School of Journalism at Northwestern University. Please sign up for email updates on new information from Paradigm Change (including future articles in this series on avoiding glyphosate). Also please feel free to share your experiences with various food products or suggestions of items that you would like to see included in this blog series in the comments section below.